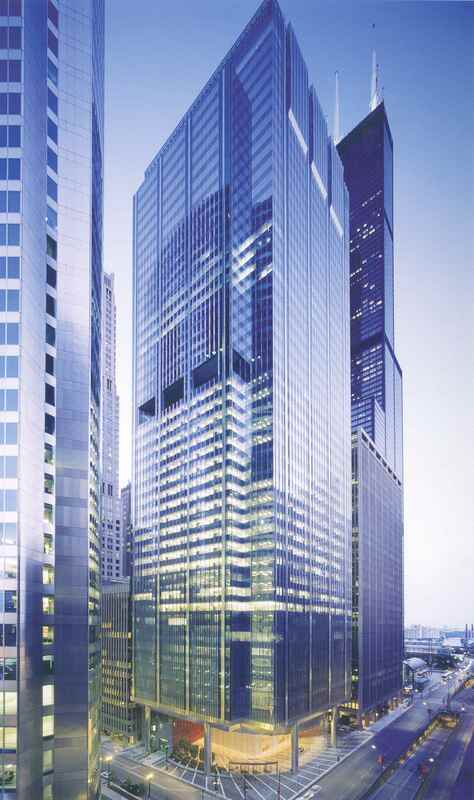 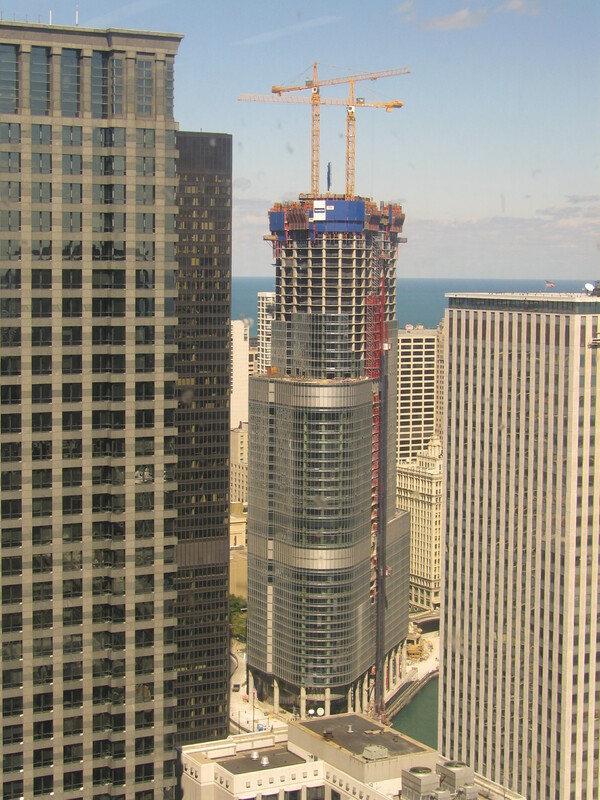 111 South Wacker – Chicago, Illinois, U.S. 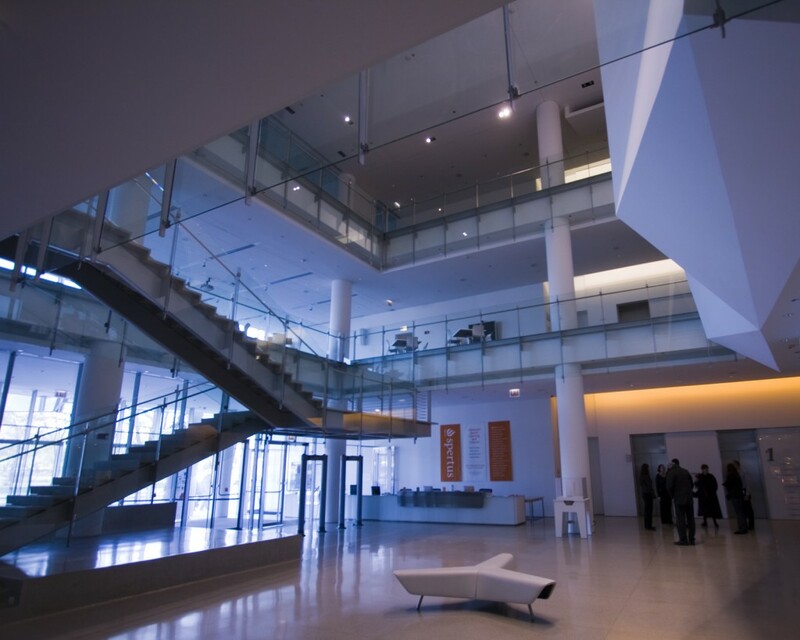 Location: 111 S. Wacker Dr. Chicago, Illinois, U.S.
Spertus Institute for Jewish Learning and Leadership – Chicago, Illinois, U.S. 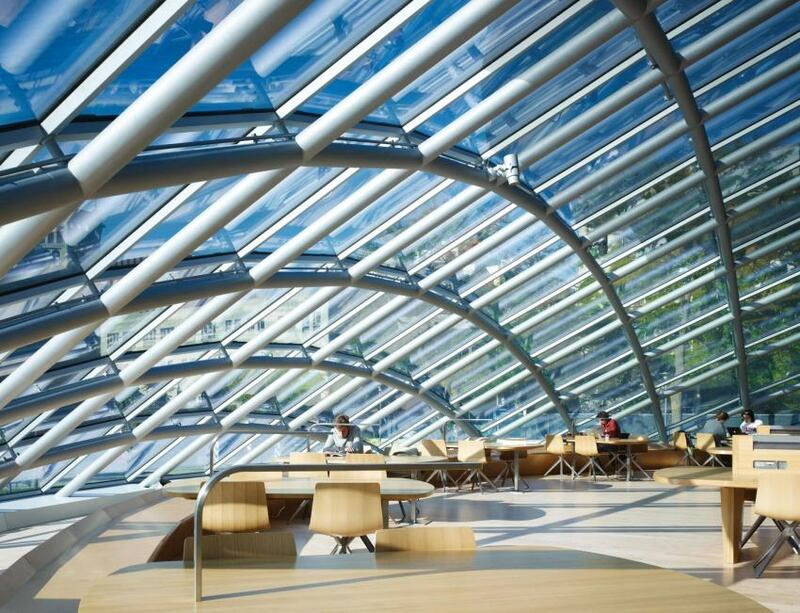 Location: 610 South Michigan Avenue, Chicago, Illinois, U.S.
Joe and Rika Mansueto Library – Chicago, Illinois, U.S.
AE Interests: elliptical glass dome composed of 691 glazed panels and reaching 35 feet tall at its highest point. 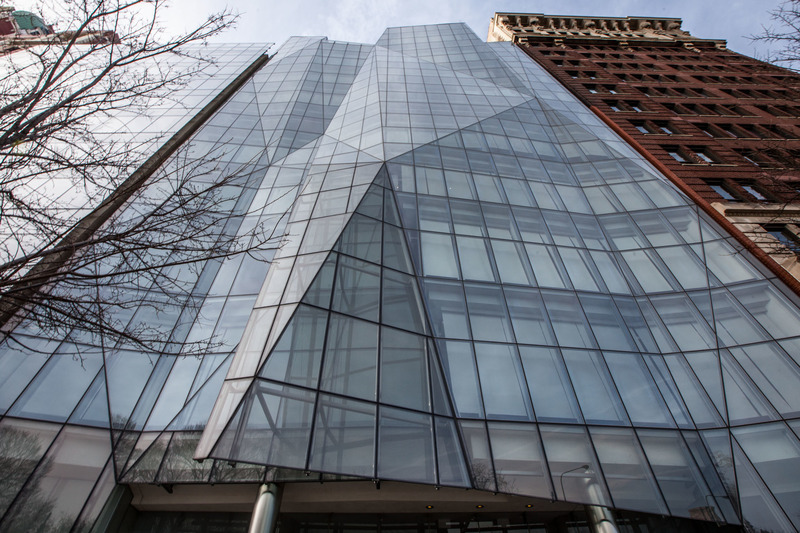 Glass at base is transparent to allow unobstructed views, but roughly a third of the way up, a ceramic frit covers 57 percent of the interior surface to reduce glare. 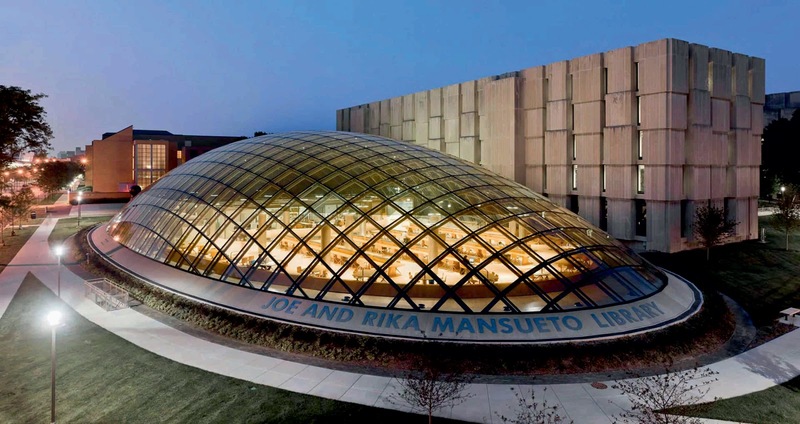 Currently, 1 million volumes are stored underground and are accessed by the libraries automatic retrieval system. 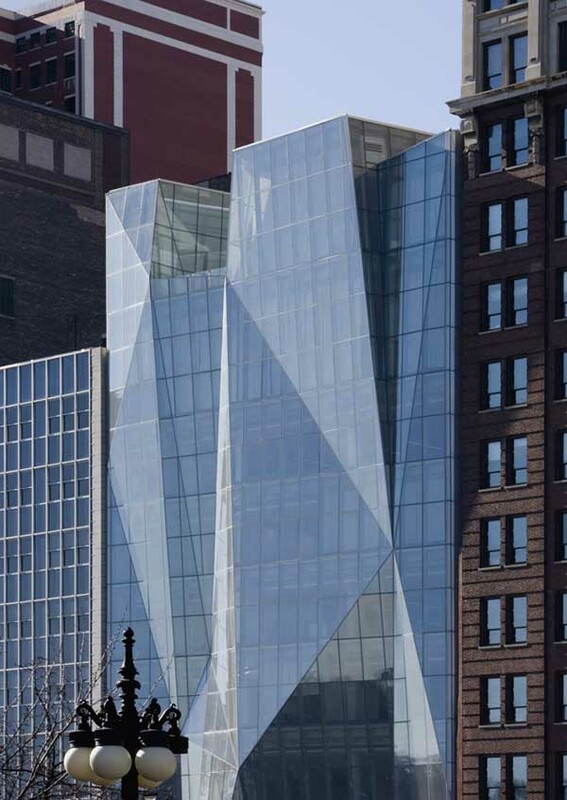 Constructed using glass and steel. 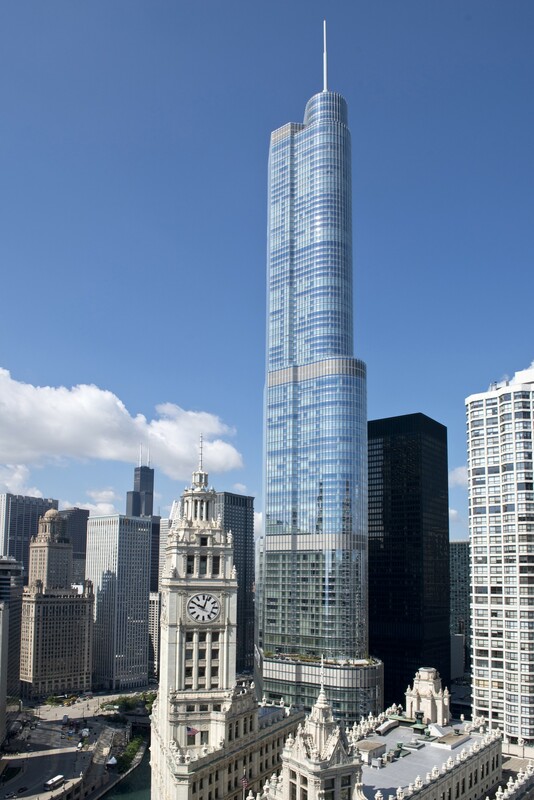 Trump International Hotel and Tower – Chicago, Illinois, U.S. 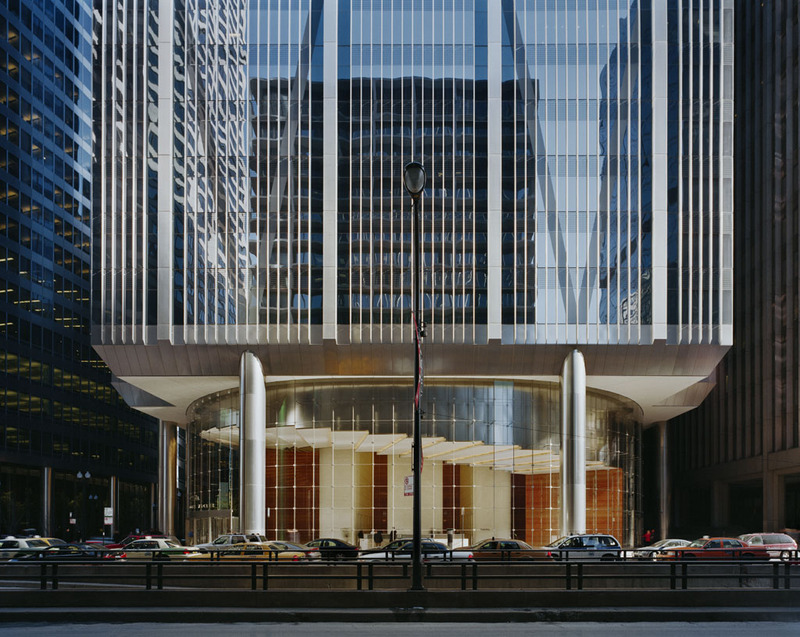 Location: 401 N. Wabash Ave, Chicago, Illinois, U.S.
AE Interests: Includes three setbacks to acknowledge surrounding skyline. 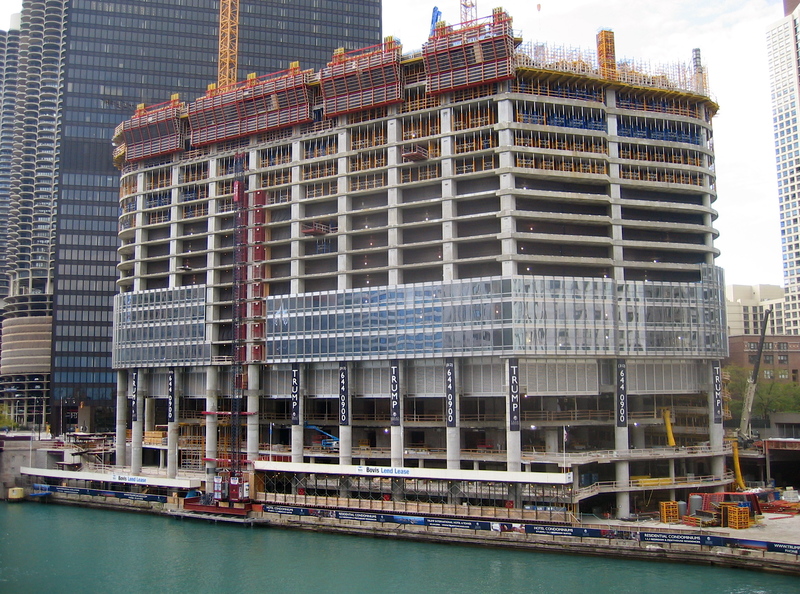 Building has a concrete core with several outriggers. 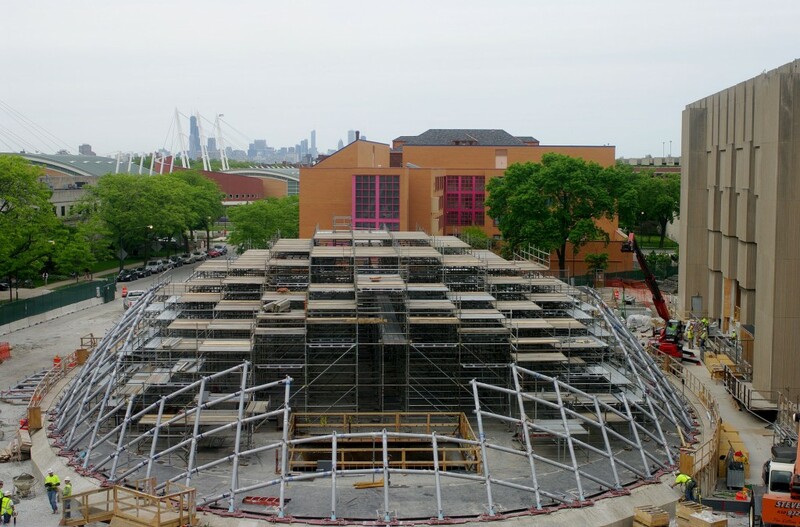 The outriggers connect its central core with an exterior ring of structural columns. 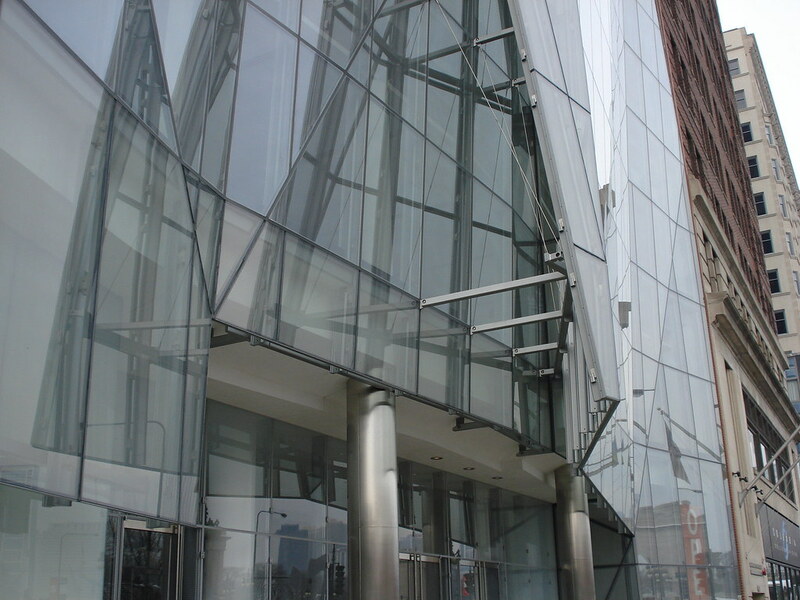 Stainless steel, curtain-wall façade. 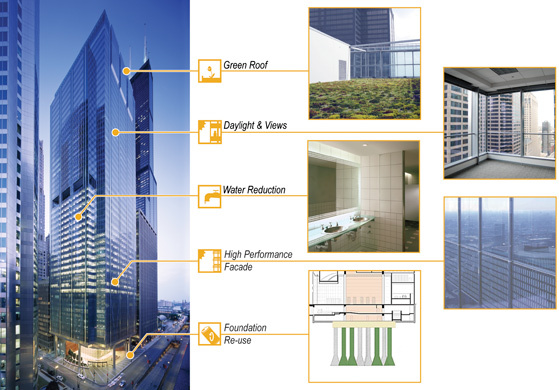 Cassion foundation. 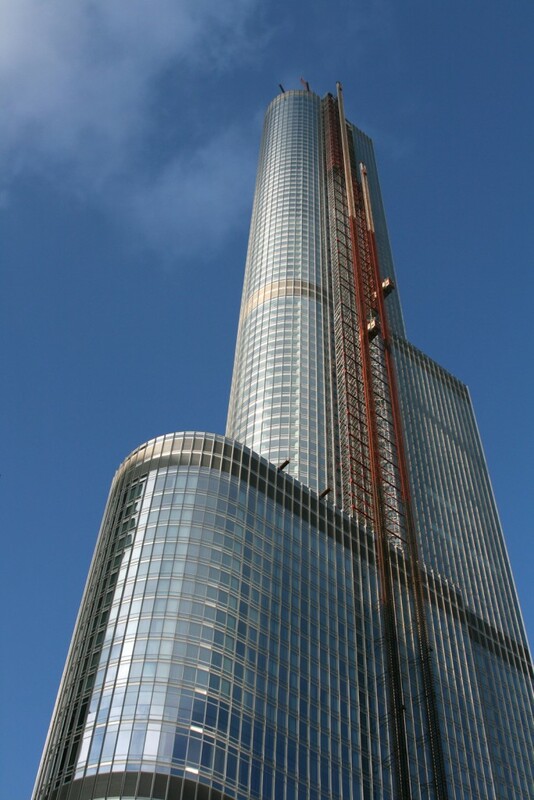 Chicago’s second tallest building at 1,388.45 ft. with 98 floors above ground and 2 floors below ground.